The level of business necessity that exists on being able to connect to the internet is astonishing. The development of the internet has significantly altered the day to day operations of a business, including how they communicate with each other and their audience. As for businesses, there are a number of services available but which connection will suit your business? What is the backup plan when the internet goes down? How can you manage your internet connections (VPN) through multiple sites? Have you received notifications that you PSTN line will be terminated in your area? Are you experiencing slow connection speed or dropout issues even though you have an NBN connection? Have you spent hours and hours on the phone, but got nowhere? For all of the above worries and requirements, we are here to help. HSM IT Solutions use Australia’s leading service providers to provide our clients a variety of internet solutions as per your business requirements. We know what to look out for and how to get issues resolved through the correct channels. Wide range of internet access methods that suit all business needs according to your requirement and budget. Connect to internet where there is mobile network coverage. This is one of the options which can be used as a backup internet service. The signal and latency need to be taken into consideration for these types of connections. 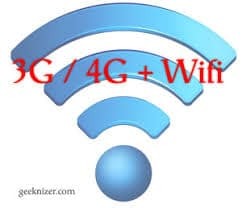 A 3G/4G compatible network device is also required. ADSL connections use the copper phone line to deliver internet. 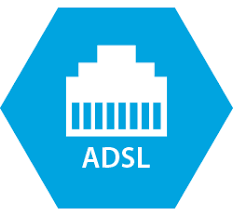 ADSL speeds can vary depending on the distance to the exchange. Due to the speed limit, it is more used for home or small offices who have low requirements for download & upload speeds. With the implementation of the NBN, PSTN lines will be terminated gradually in a few years. One of the most common internet services businesses use. 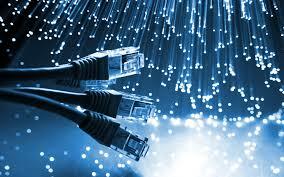 It provides a business grade internet connection delivered over dedicated traditional copper phone lines. This high speed technology provides symetrical download/upload speeds so there is no need to build fibre optic infrastructure to your offices location. It can provide guaranteed speed depending on the location. The latest advancement in broadband technology, fibre optic broadband is promising super-fast speeds for all of your business needs. 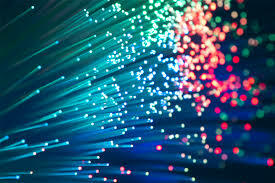 Its uses plastic or glass cables, which allow for faster data transfer compared to the standard copper wires which are used in regular broadband connections. The only disadvantage of a fibre connection is the price. It has dropped since it first hit the market, but it’s still more expensive than your regular broadband service. This will be used for offices who require high speed and low latency internet access. 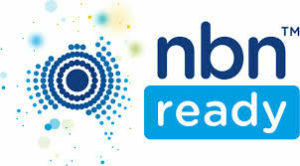 The National Broadband Network (NBN) has been touted as the key to making Australian businesses more competitive on the world stage. Originally the NBN was planned to be Fibre to the Premises (FTTP), meaning the network would have used fibre optic cable from the exchange all the way to the premises. However, due to a change in government the NBN has involved Fibre to the Node (FTTN), which uses an optic fibre link from the exchange to a local ‘node’, and then uses the original copper telephone wires between the node and the premises. Apply and setup internet most suitable to your business needs without any downtime. Design and setup a secure VPN connection between multiple locations. Proactively monitoring internet connection via our 24 x 7 x 365 network monitoring tools. Setup a fail-over internet plan based on your business requirements to minimise downtime. Need a faster and a more stable internet connection? Not sure what internet options are available?